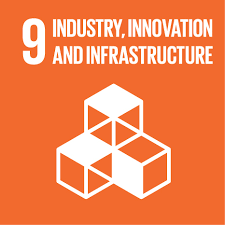 Goal 9 is focused on building resilient infrastructure, promoting sustainable industrialization and fostering innovation. In order to make this a reality investments have to be made in infrastructure to achieve sustainable development in communities. Infrastructre comprises of anything from irrigation systems, transport, communication technology and energy resources. Productive communities require well planned, sustainable infrastructures. The same is true when it comes to health and education, certain infrastructure elements need to be in place to ensure and sustain healthy, educated communities. Technological progress is vital in this process and can mobilize and contribute to increased resource and energy-efficiency. As the United Nations states on their Sustainable Development website, without technology and innovation, industrialization will not happen, and without industrialization, development will not happen.